Sensoria is best known for its run tracking smart socks, but it also makes connected clothing to wear a little further up. The startup has unveiled its second generation smart clothing range that's equipped with some pretty interesting new features. The machine washable sports bra and t-shirt are both made from Emana yarn, that apparently improves skin elasticity and can aid muscle fatigue prevention. In a similar fashion to MyZone's smart clothing range, it comes with a clip on heart rate monitor that when paired with the Sensoria Fitness app, can deliver real time data including heart rate zones metrics. Sensoria is also adding a couple of features that we've not really seen crop up on smart garments before. The first is the ability to monitor heart rate variability (HRV), which can give you an indication of how much strain you're putting on your body and when it's time to take a break. There's also an alert system that constantly monitors the user's probability of cardiac irregularities during exercise. The new cardiologist designed algorithm is able to offer a real-time alert countdown to confirm that the user is still conscious. Alternatively, it can send an alert to select family or friends through a text message, and even locate you through GPS coordinates via your phone. It's accompanied by a new version of the Sensoria Fitness app, which will be available for smartphones and select smartwatches. You can set up new training plans along with review data and it'll also be compatible with third party fitness apps including Strava, Polar Beat, Endomondo and MapMyRun. 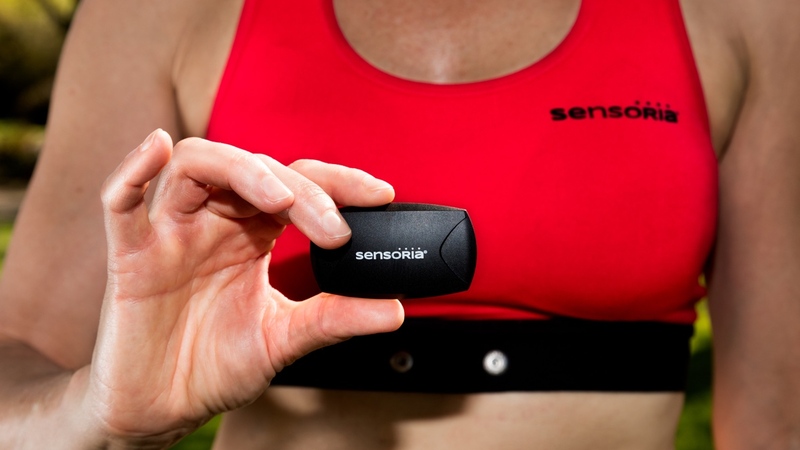 Sensoria's new range will be available to pre-order for a discounted price from 20 June via a crowdfunding campaign. There's no details on pricing yet, but we'd like to think it'll be somewhere around the same $150 mark that it cost to pick up the first generation kit.